Although Siege of Dragonspear is our highest priority at the moment, it's important to us that we continue supporting our existing games. Yes it means that we're living on coffee and optimism, but it's all to produce the best games possible for the fans! Here's the lineup for upcoming patches. Our next anticipated patch will contain Android hotfixes for Baldur's Gate: Enhanced Edition, Baldur's Gate II: Enhanced Edition, and Icewind Dale: Enhanced Edition. 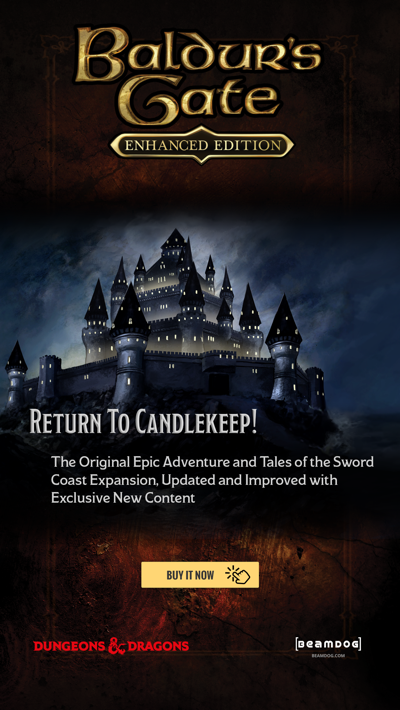 We want to ensure all Android users can start up the game smoothly and enjoy stability improvements while they're being hunted by assassins in Candlekeep. Creating an iOS hotfix update this time around requires a significant amount of technical work. Once we've resolved these technical hurdles, though, we'll be able to address outstanding iOS issues for a better gameplay experience. If you're interested in beta testing upcoming patches, you can fill out a beta tester form here. We require testers to be at least 18 years old, and if you're selected we'll provide a non-disclosure agreement for you to sign. We select testers based in part on the quantity of work we have available, which means we won't be able to accept all the tester applications we receive. We also maintain support forums where players can report any issues they encounter during play. Each forum has an announcement with the guidelines for reporting bugs, which make it easier for us to follow up on the reports. As we get closer to the release of these updates, we'll post about it here. 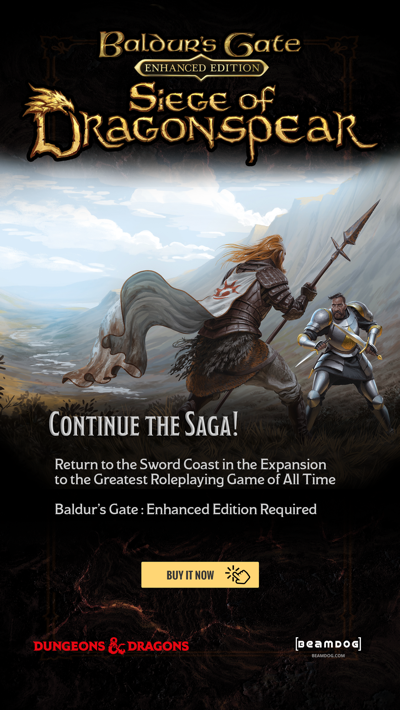 You can also follow Beamdog news at @Beamdoginc or on our Facebook page.